Are you looking to take a break away from your busy boring life schedules? Then Oman could be a perfect destination with a wide range of thrilling and adventurous options for the tourists. The natural scenic beauty of this lonely planet also makes it the right dwelling for a relaxing weekend or vacation. And the government here have taken serious measures to make the place a safe and comfortable spot for the tourists. Moreover, Omanis are friendly persons and are very helpful to tourists provided the visitors should respect the ways and traditions of the Omani people. You can have food types ranging from Arabic, East African, Lebanese, Turkish, to Indian here. The country is famous for its historic forts, rugged mountains, cool beaches and huge desert dunes. 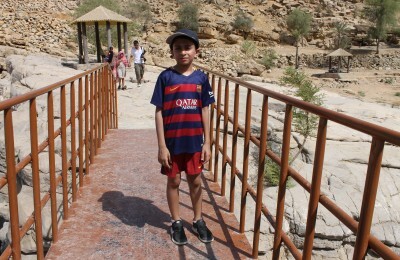 One of the best loved attractions is the lovely seaside camping between Muscat and Sur. There are a lot more places that provide a number of options for tourists to make their trip a memorable one. Here are a few among the many activities you can experience at this destination.